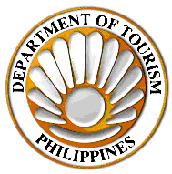 The Philippine Department of Tourism has various Regional Offices across the nation. If you need information, assistance and or inquiries – you may reach them through email, fax or telephone. If you want to contact DOT head office in Manila, you can call the DOT Trunkline (632) 523-8411. G/F Marlim Mansions Hotel Bldg. Ground Flr., Foundation Plaza Bldg. I like your blog post, keep on writing this great material! I’ll make sure to follow up on your blog in the future. Thanks for all these addresses very useful. what are the meaning of each symbols in the logo of D.O.T Philippines?